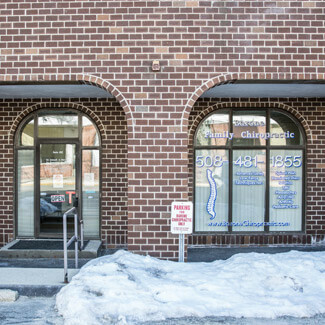 Barone Family Chiropractic has been serving the wonderful town of Marlborough and the surrounding area for more than 50 years. Dr. Joseph T. Barone came to Marlboro in 2006 to practice with his father the esteemed Dr. Joseph A Barone who has since retired. Dr. Alison Barone joined the family practice a year later in 2007. Our office is located in the heart of downtown Marlboro across from the post office. Our patients love the ease of our location and the abundance of parking right in front of our office. We view our patients like an extended family and love providing care to those in our community. We offer hope – an alternative to drugs and surgery. We offer a way to view your health in a different light that is empowering. There is a secret we want to share with you that will surely open your eyes to new beginnings and new possibilities; your body holds the power to heal and self-regulate all on its own. Contact us today!